It is no secret that I am positively OBSESSED with DorothyDraper and The Greenbrier. So you can imagine my delight today when The Dorothy Draper School of Decorating formally announced a one-day decorating class, scheduled for Saturday, April 20, 2013 at The Greenbrier Resort, taught by Carleton Varney himself!! The Victorian Writing Room – once called the most photographed room in the United States. I must confess to a secret envy when my favorite bloggers gush and swoon about their fabulous trips to The Greenbrier, always complete with some pretty amazing pictures. Case in point… check out the first in a series Sanity Fair posted last week. Poor Skyla… nearly exceeded her camera’s memory card she was having such fun! I love the details she captured in some of her close-ups (below). I am waiting with baited breath for more pictures, particularly the ones she took of my beloved Brazillance wallpaper! 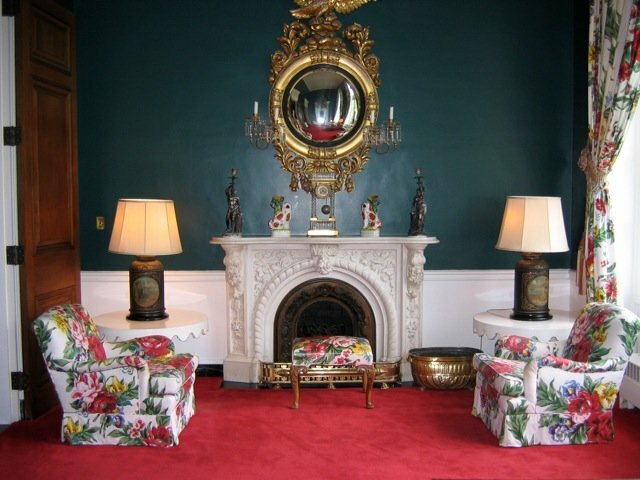 Click here for more Greenbrier eye candy from Sanity Fair. I simply cannot imagine a better way to spend a weekend at The Greenbrier than one complete with a decorating class direct from Dorothy Draper’s protégé Carleton Varney, who remodeled The Greenbrier in 2007! Below is the scoop on the April 20, 2013 Dorothy Draper School of Decorating. Click here for additional information. A day of decorating with Carleton Varney & Associates in the luxurious Greenbrier setting! The Greenbrier, the famous award winning National Historic Landmark hotel in White Sulphur Springs, West Virginia has been serving distinguished guests since 1778. The Dorothy Draper tradition of vibrant colors, floral patterns, bold contrasts, large scale, and neo-baroque style is still evident and flourishing in the hotel today as the tradition continues to be carried forth with the Dorothy Draper Co. design team, with Carleton Varney as president and owner. Participants will explore the art of creating beautiful and bold interiors in a two hour morning and a three hour afternoon session. An open mind, enthusiasm, and willingness to think creatively. 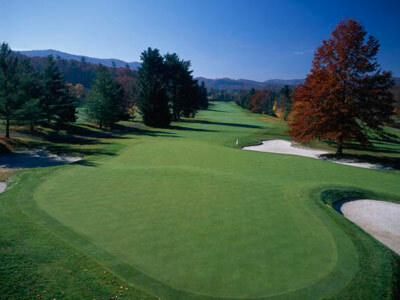 TheOld White TPC, home to The Greenbrier Classic PGA TOUR event is the only C. B. Macdonald course available to the public. It is also the oldest course currently used for a PGA TOUR event and has stood the test of time. It was named the fifth best course in North America by Golf Digest. Image courtesy of the (very manly) Esquire magazine. 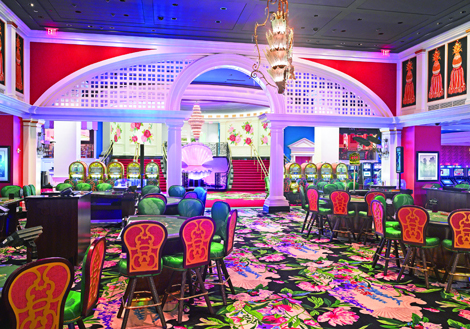 The new Casino Club at The Greenbrier is a 103,000 square-foot venue filled with world-class gaming at its finest. Enjoy live entertainment and international cuisine in an elegant setting that revels in the warmth and charm of southern hospitality. The Greenbrier gaming experience combines high-roller thrills and high-class style to create an unforgettable experience. $300 covers class enrollment & secures a seat. I hope to see you on April 20 for a weekend at The Greenbrier! So wish that I could join you, but it is prom night for my son. Love your site! You are a girl girl (much younger) after my own heart. 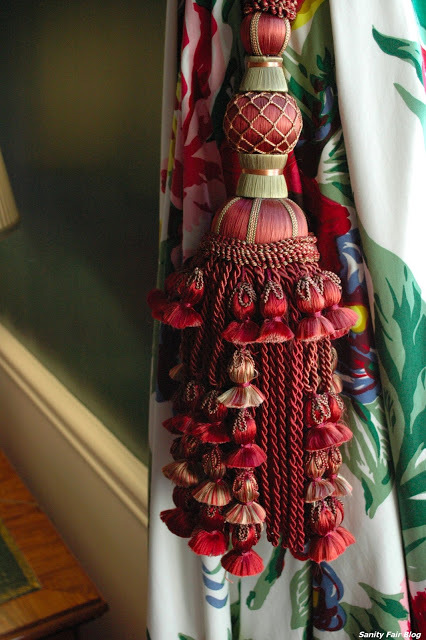 Oh this is fabulous, I would love one room kitted out in this style and tiebacks – I prefer them to jewellery!